The State Water Resources Control Board adopted a resolution today on open data principles committing it and the Regional Water Boards to providing broader access to the data used to make local, regional and statewide water management and regulatory decisions in California. The resolution commits the board to completing a thorough review of its current data enterprise and charting a new path for more comprehensive access. 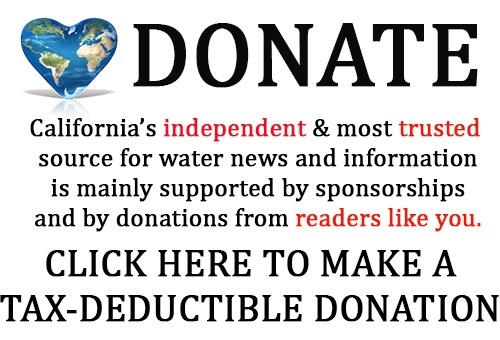 The commitment to make data easily accessible and understandable will assist the State Water Board and Regional Water Boards in making informed, inclusive, and transparent decisions. “The Boards request, collect, process, and provide vast amounts of data and information on the state’s water quality, quantity, and uses. These data can be used to better serve the public through open and accessible information,” Esquivel added. “When our numerous data sets are understandable, accessible, and contextual, it strengthens a transparent, fact-based, and collaborative decision-making process —pillars of a 21st century regulatory agency,” Esquivel said. The passage of the Open and Transparent Water Data Act (AB1755, Dodd) in 2016 put the Water Boards on a path towards publishing more data. 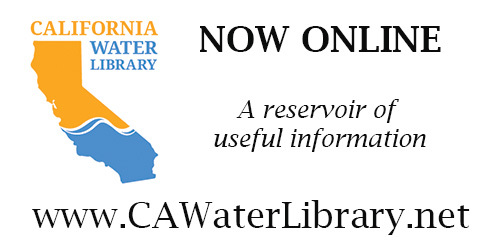 Currently, the Water Boards have more than 30 datasets and over 50 data resources published at the State of California’s open data portal (data.ca.gov). The most recent open data from the Water Boards show urban water use and water rates by public water systems, published in support of the 2018 Safe Drinking Water Data Challenge. The Water Boards are a data-driven organization that utilizes data to inform operational, regulatory and water resource decisions. The Water Boards have more than 60 software applications, including 15 core enterprise applications, to manage data critical to our mission as well as data describing environmental conditions and regulatory compliance. A long time Water Boards goal has been to adopt strategic actions to improve open data accessibility and innovation in its use. Examples of current projects to make data more accessible and use it in our decision-making include relaying data about lead in schools, and the Water Board’s harmful algal bloom incident reporting and risk communication project. 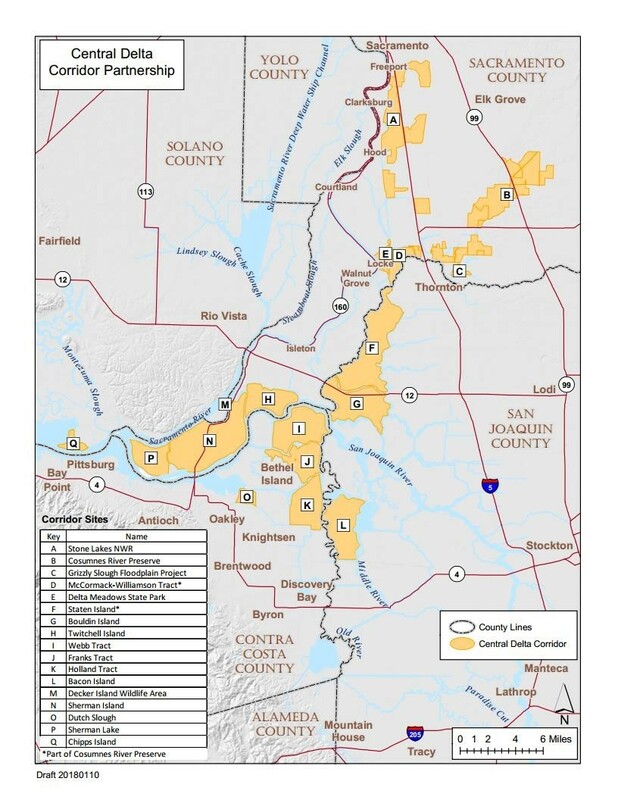 For more information on how the State Water Boards use data and their plans for the future, visit the Data and Databases webpage here. 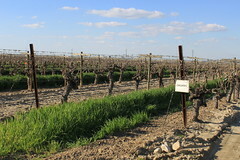 The Delta Conservancy is coordinating the effort to bring together the Partnership entities, private landowners in the area, and other stakeholders, such as birding and recreation enthusiasts and water users, to develop a conservation strategy for approximately 50,000 acres of publicly-funded lands in the Central Delta Corridor. San Francisco Estuary Institute (SFEI) will provide information on the ecological functions, historical background of the corridor, and high-level ecological opportunities informed by the Delta Plan, Delta Conservation Framework, Delta Renew, and other Delta plans and initiatives. The project partners include these landowners in the Central Delta Corridor: The Nature Conservancy (TNC), California Waterfowl Association (CWA), California Department of Parks and Recreation (DPR), California Department of Fish and Wildlife (CDFW), California Department of Water Resources (DWR), Bureau of Land Management (BLM), US Fish and Wildlife Service (USFWS), and Metropolitan Water District of Southern California (MWD). Day 2 – The team will present revised and refined corridor opportunities based on Day 1 discussions for review and additional discussion. For background information and the latest updates on this project visit the Central Delta Corridor Partnership page at: www.deltaconservancy.ca.gov. Send questions or comments by email to: campbell.ingram@deltaconservancy.ca.gov. 1 Publicly-owned lands include lands owned by state, federal, and regional government agencies and lands purchased with public funds. A new report by the Ocean Protection Council Science Advisory Team (OPC-SAT) provides scientific guidance on ways to restore coastal areas impacted by power plants using once-through cooling technology. The report, “Ocean Restoration Methods: Scientific Guidance for Once-Through Cooling Mitigation Policy,” continues California’s significant investment in 124 marine protected areas (MPAs) to help safeguard the long-term health of California’s marine life. Once-through cooling technology pulls water from the ocean to cool power plants. Marine animals, seaweeds, and billions of eggs and larvae of fish and invertebrates are taken in with the seawater and killed as they are subjected to thermal, physical, and/or chemical stresses. Larger organisms may also be pinned against seawater intake screens, causing injury or death. These impacts contribute to the decline of fisheries and the degradation of marine habitats near power plants using once-through cooling. To address these damaging impacts, the State Water Resources Control Board established a policy in 2010 requiring power plants to stop using once-through cooling technology. 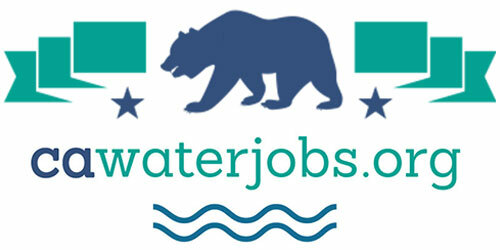 Until power plants transition to less harmful cooling systems, the policy requires them to make mitigation payments to the California Coastal Conservancy and the Ocean Protection Council to support projects that will offset negative ecological effects and increase marine life associated with MPAs in the geographic area of the facilities. A Working Group of the OPC-SAT, convened by the Ocean Science Trust, applied the best science available to help identify projects that would meet the requirements of the Once-Through Cooling Policy to bolster marine life associated with California’s MPA network. Their report determined that due to oceanographic currents connecting locations both inside and outside of MPAs, harmful effects of once-through cooling could extend hundreds of kilometers from a power plant’s intake pipe. Given the geographic extent of power plants still using once-through cooling, the findings of this report define the areas impacted as the entirety of State waters (3 nautical miles from the coastline) from San Diego to Big Sur, including the waters around the Channel Islands. The Ocean Protection Council’s Once-Through Cooling Interim Mitigation Program directs mitigation payment investment through four critical components: 1) enforcement of MPA rules and regulations statewide; 2) outreach and education to improve compliance; 3) research to understand how existing MPAs may be mitigating for OTC impacts; and 4) restoration that increases marine life in the geographic regions of the facilities.